Subscribe to Kizuna Box Newsletter for exclusive updates and discount campaigns! “Kizuna” is a Japanese word that means the bonds between people. 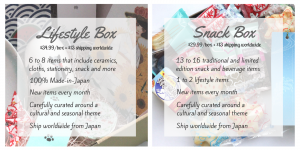 Kizuna Box is a Japanese monthly subscription box that connects you with Japan through carefully selected 100% Made-in-Japan lifestyle items and limited edition snacks sent directly to your door from the heart of Tokyo, every month. As Japanese celebrate and appreciate the passage of time and the change of seasons each and every month with various seasonal goodies and festivals, each month in Japan has a distinct vibe to it. Our Kizuna Box is thoughtfully curated around a seasonal theme to let you experience the exact same atmosphere you otherwise would if you were in Japan that month! Subscribe Now! Since Kizuna Box is a surprise box, its content is kept in secret, only the monthly theme is revealed, for the sake of excitement that our subscribers are going to get. Read customers’ reviews on our Facebook Page and Cratejoy Listing! Please note that photos uploaded on our media do not reflect the contents of upcoming Kizuna Boxes. See past boxes here or Watch unboxing videos on our YouTube Channel. What kinds of kizuna box are available? We’re currently offering 2 types of monthly subscription boxes that you can choose from: Kizuna Lifestyle Box and Kizuna Snack Box. 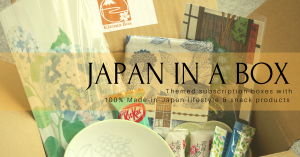 Kizuna Lifestyle Box delivers to you monthly selections of 6 to 8 high-quality Japanese goodies that include ceramics, cloths, stationery, snacks and so on. Meanwhile, Kizuna Snack Box contains 17 to 20 artisanal, traditional and limited edition Japanese snack and beverage items coupled with 1 or 2 cultural and lifestyle items. Often times, these snacks are only available in a specific region or time of the year. Each box also encases a pamphlet to explain the monthly theme and products. Save more by subscribing to our multi-month payment plans! Shipping fee is fixed at $13/delivery. we ship worldwide. You will be billed at the time you place your first order. All subscription plans renew automatically. Let’s say you have subscribed to our monthly plan and are billed on May 10 for the June box. Since then, you will be charged on the same day (10th) of every month for the next boxes. If you subscribe to our multi-month plans, you’ll be charged the total price of the 3-month or 6-month subscription plus shipping fees at the time of your first order. You will not be charged again until the last month of your subscription period. We ship during the first week of the month. All orders must be placed before or on the 25th of the prior month. It takes 10 – 20 days for a Kizuna Box to arrive at your door, depending on your location. If you place your orders by March 25, your box ships in the first week of April 2018. Step 1: Subscribe to our service: choose your Kizuna Box and subscription plan. Step 2: Receive a new box directly from Japan every month. Step 3: Explore and enjoy Japan at your home with beautiful goodies and delicious snacks! The theme of this month is “Kodomo-no-hi” (The Children’s Day). “Kodomo-no-hi” is “boys’ festival” that will be held on May 5th. On May 5th in Japan, “Festival wishing for healthy growth of boys” has been done from long ago as the festival of a festival. Currently, it is a holiday as “Kodomo-no-hi”. This May, let’s enjoy like as feeling Japanese “Kodomo-no-hi” through Kizuna Box’s items! and waiting for your purchase with various wishes put in! 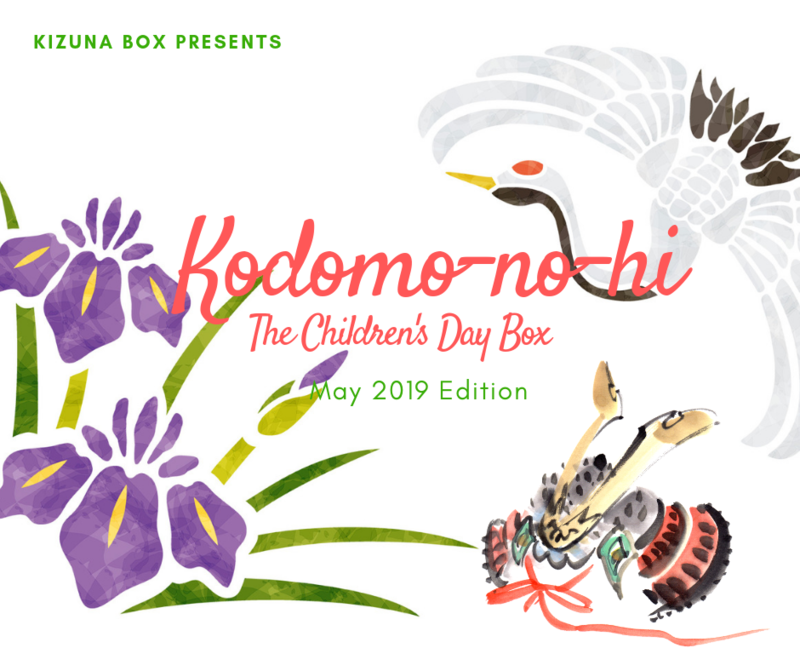 Subscribe by April 25 to get the “Kodomo-no-hi” (The Children’s Day) Box delivered straight from Japan to your door! Click the photo for a glimpse of our most recent boxes or click here for detailed reveals of all past boxes. Why should you subscribe to Kizuna Box? First, we provide both Japanese lifestyle subscription and snack subscription options. Thus, we always make sure that our subscribers get the most comprehensive experience possible, no matter which box they choose. You can find some sample-sized snacks in our Kizuna Lifestyle Box; likewise, you can also find some ceramics in our Kizuna Snack Box. Second, we select items for each box around a cultural AND seasonal theme. It’s our wish to bring you the most authentic and best real-time experience. For example, with our June Box, you’ll feel like you are experiencing the rainy season in Japan, without having to leave your home. Last but not least, we believe that we offer the best experience and products with the best price and care. 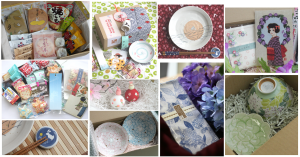 Kizuna Box Reviews: Click to read what people say about Kizuna Box! We are the team behind the Re-Discovery Japan website and Facebook pages that have been sending you information for living and traveling in Japan over the years. 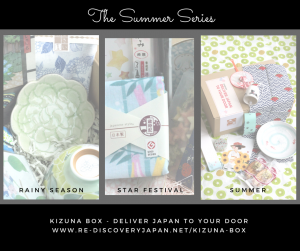 Now we’ve decided to launch our Kizuna Subscription Box to make sure that the Japan that you’ve rediscovered is delivered to your door, no matter where you are in the world. The items in our boxes are what Japanese actually use, eat, give each other as gifts, and want. We can confirm that since 3 out of 4 team members are Japanese and the other one is a foreigner who has been living in Japan for over 6 years. Thus, we know what makes both Japanese and non-Japanese alike happy, and we put that in your box. Japanese appreciate and celebrate nature and the passage of seasons. That’s why for our monthly subscription boxes, we carefully curate items that are related to or inspired by the weather, nature, as well as seasonal and cultural activities of that specific month in Japan to give you the best real-time experience. Have Questions? Check our F.A.Q Section Here!